"I have no words to console my son. I can no longer tell him that it is only infections that is causing the intense pain he suffers every minute. Both my sons were diagnosed with the same disease at the same time. My elder son is completely paralyzed and he cannot speak. Now, we are helplessly watching Suganthan, our younger son slip away from us. His condition is deteriorating every day. I feel terrible that I'm not able to do anything." - Mangai, Mother of 10-year-old Suganthan. Suganthan was active until he turned 7. Suddenly, his body started swelling. His parents thought it may be due to an insect bite. But they were terrified when the swelling kept spreading all over his body. 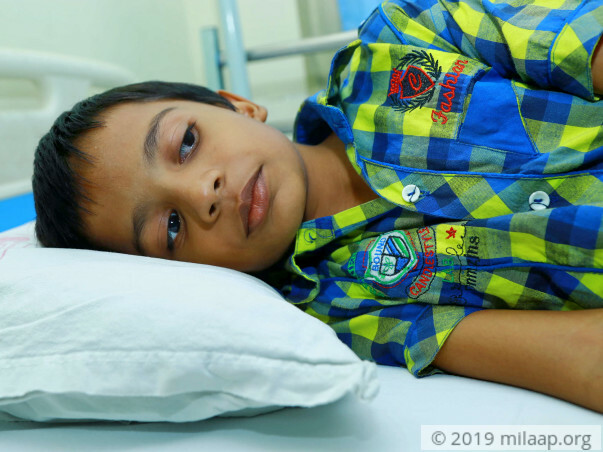 They took him to the hospital immediately and he was diagnosed with a rare blood disorder called X- linked Agammaglobulinemia, an inherited immunodeficiency in which the body is unable to produce the antibodies needed to fight against bacteria and viruses. He is prone to multiple, recurring infections of the lungs, sinuses and other areas. "I have not heard about this condition before and I was shocked to know that my son's life is in danger. Doctors said there are chances that my other son can also have the same disease and the scan reports confirmed it. I was completely shattered. Since then I have been spending sleepless nights and running to everyone I knew, trying all the possible ways to save my children but I fail miserably." - Jayakumar, Father. 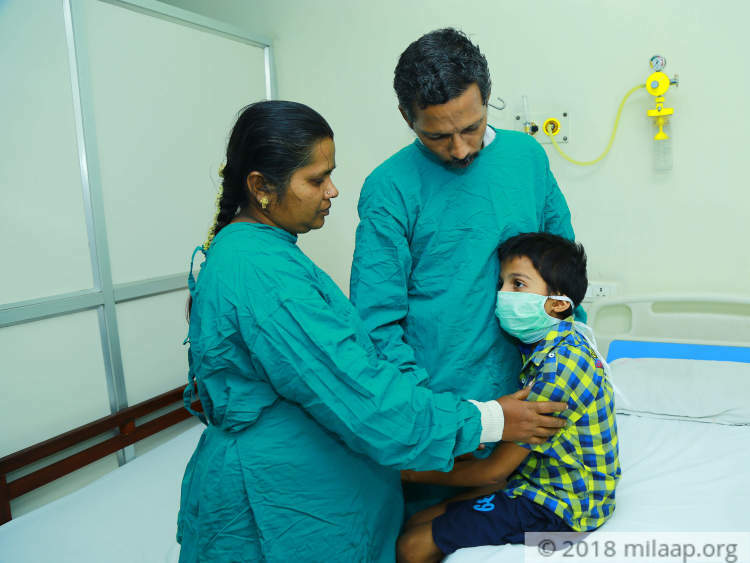 It has been 3 years since Suganthan and his brother Sandeep were diagnosed with this terrible disease. 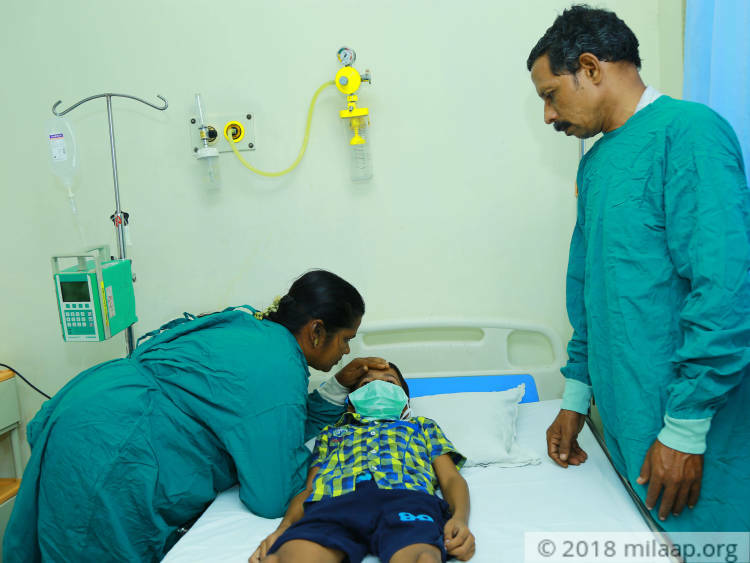 They undergo hemoglobin transfusions every month which costs around Rs 40,000 per month. Suganthan's condition has become so worse now that transfusions are not enough anymore. He needs a bone marrow transplant to survive. Suganthan's father Jayakumar works as a teacher. He has not been able to be regular at his work as he is running back and forth to the hospital. He has lost count on the money he had borrowed. He is neck-deep in debt and now he has no clue whom to turn for help. 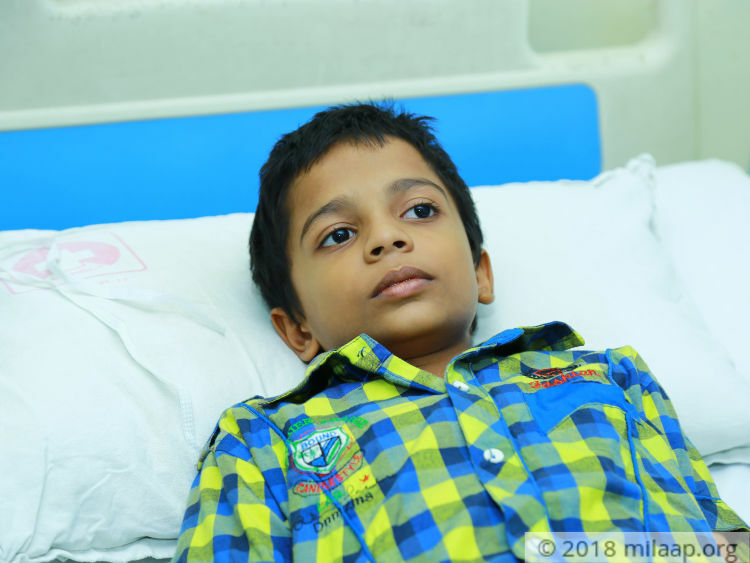 Sugnathan's condition is critical that he can't miss any medicines and transfusions, and needs an urgent bone marrow transplant. Unfortunately, Jayakumar cannot afford any of these. 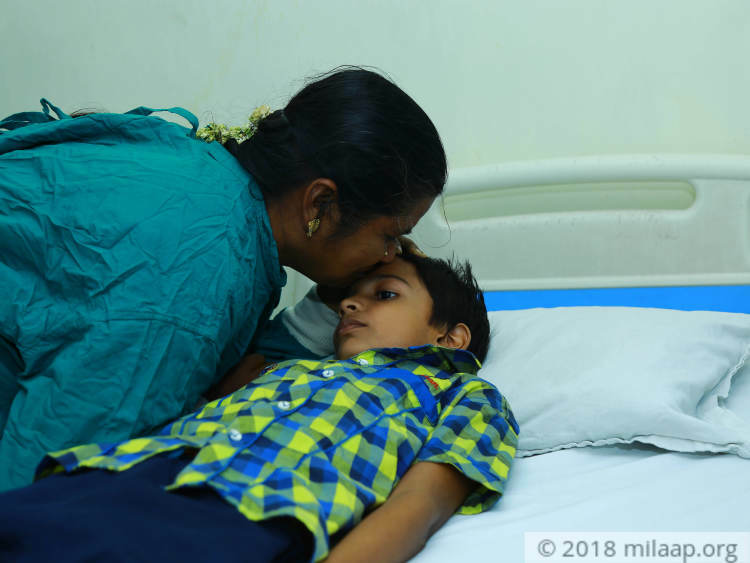 Jayakumar, a school teacher is desperately trying to save his 10-year-old son Suganthan from a terrible blood disorder. He has spent everything he had and borrowed a lump sum. 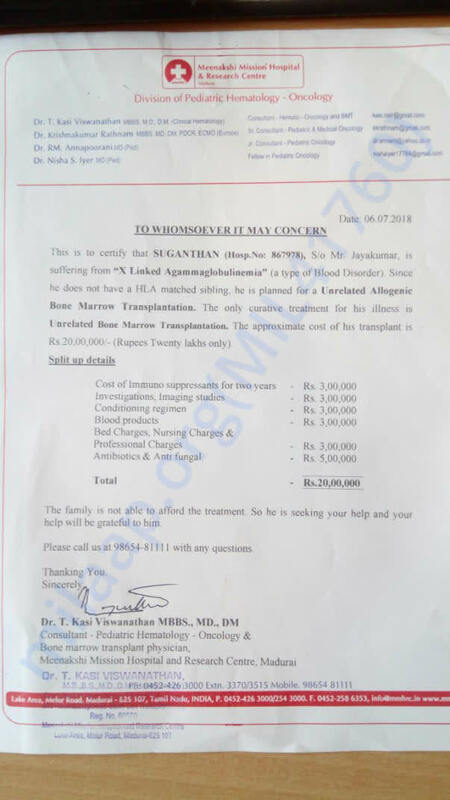 Suganthan is very critical and any delay in the bone marrow transplant will lead to terrible damage or even turn fatal. Sadly, his elder son also suffers from the same disease and he is on the verge of losing his children. Only your support can help him save his child. We have some unfortunate news to share with you guys. Suganthan is no more with us. He underwent Haploidentical stem cell Transplantation in January .But he rejected the graft and had failure of BMT. He was pancytopenic supported with multiple blood procedure and IV antibiotics.But inspite of adegnate supportive care,he succumbed to severe sepsis and septic shock. He couldn't make it and passed away. All the funds raised will be used to clear his medical expenses. I am rejoiced with the love and support blessed on Sugan. He is presently in the hospital undergoing Radiation. His Bone Marrow Transplant for which his mother was the donor failed. The doctors are presently looking for another donor for Bone Marrow Transplant. Please share the campaign and pray for his health. 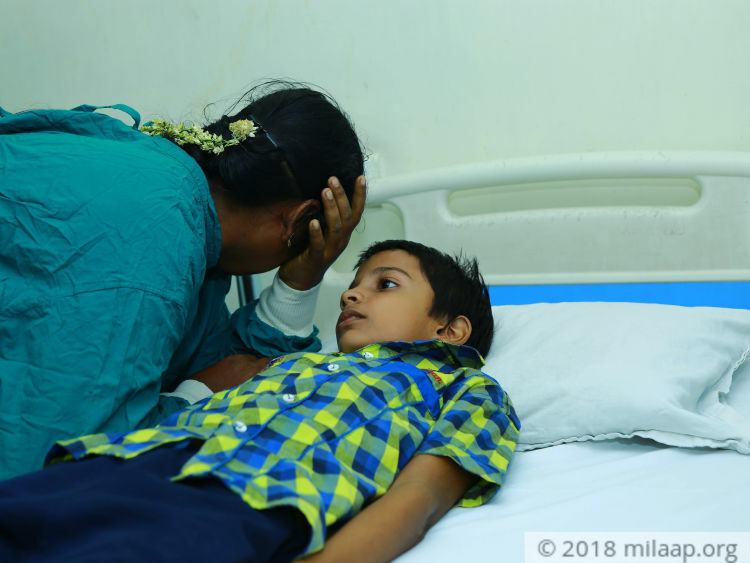 This is regarding suganthan 9 years old boy suffering from X linked Agammaglobulinaemia-severe Immune deficiency disorder.With this disease patient tend to get serious infections repeatedly and can be life threatening.He is currently on monthly Immunoglobulin infusion which protects him from getting such serious infections.He has one elder sibling who also has same disorder and got severe Encephalomyelitis- bed ridden state with altered consciousness and complete limb paralysis and repeated pneumonia. 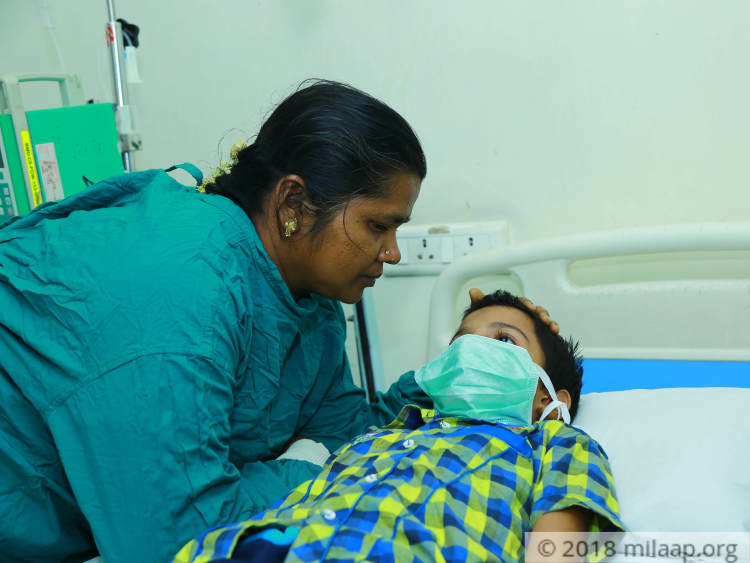 They are from very poor background and parents are finding it hard to thrive both their affected children.complete cure for the disorder is to do stem cell transplantation with mother as a donor.Doing BMT will prevent suganthan from succumbing to this debilitating disease. Thank you once again. Please keep praying and supporting.